A collaboration between NRDC, WCS, UCSB, and the Task Force, the Geospatial Genetics project is empowering geneticists with the tools they need to more actively engage in the identification of IMMAs. The project helps geneticists mobilize their data by transforming it into geospatial maps and visualizing it in SeaSketch. Maps are deeply intuitive and genetic data in map-form will be much easier to communicate and consider during the IMMA regional workshops. This will also ensure that IMMAs are identified based on the most robust and scientifically defensible information.  You can explore pilot Geospatial Genetics SeaSketch projects for humpback whales and spinner dolphins, developed as part of a 2015 expert Focus Group. More general information, including a summary of publications, presentations, and workshops can be found here. 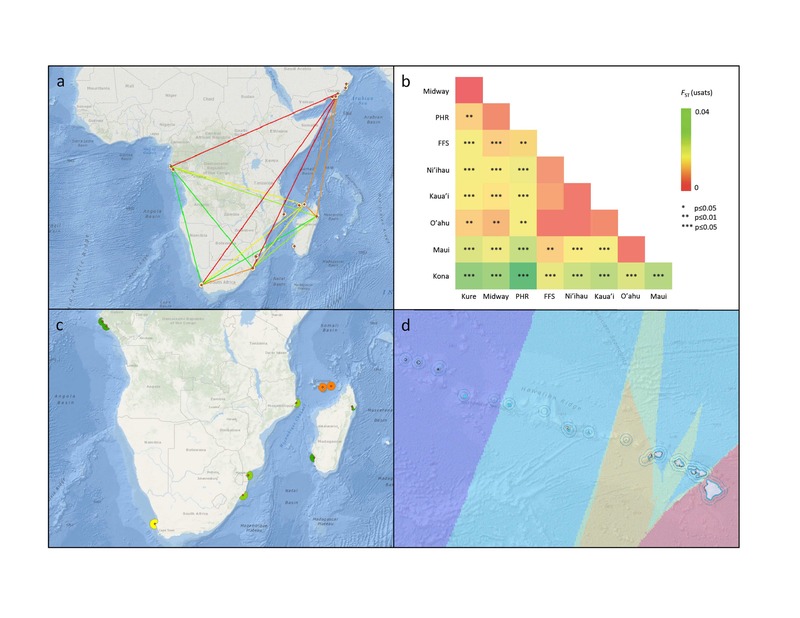 Four examples of geospatial genetic data layers in SeaSketch: Genetic connectivity (a) and genetic diversity (c) of humpback whales off Africa (Kershaw et al. 2017); and pairwise (b) and interpolated (d) population differentiation of spinner dolphin in Hawaii (Andrews et al. 2010). The Geospatial Genetics project is currently actively seeking funds to assist genetics in each of the IMMA regions to mobilize their data using SeaSketch, participate in the Regional Workshops, and to make their contributions available through open access communication channels. If you would like to learn more about the project, please contact Francine Kershaw.